There really should be no debate about snow tires: If you live in a place where the ground is covered in white stuff for months at a time, you need snow tires. And yes, that includes owners of all-wheel drive vehicles. With that most important point out of the way (if you live with snow on the ground, snow tires are a must, no matter what you drive—and yes, it was worth repeating), we can get into the details of what makes snow tires effective. It begins with the rubber. Snow tires are made from a softer rubber that maintains its gripping ability even when temperatures drop below freezing. However, that soft rubber will start to slip on the road once the temperature gets above 45 degrees, so you don’t want to keep snow tires on your car all year long (unless you live in a truly frigid climate). On the other end of the spectrum, summer-specific tires use a hard rubber that’s great in heat, but starts losing traction when the temperature drops below 45 degrees. 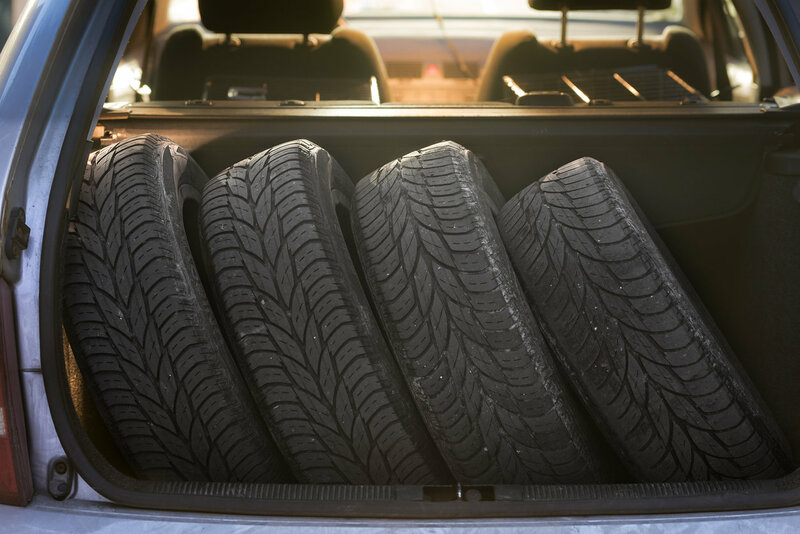 All-season tires are usually rated to work in both freezing (and even below freezing) conditions and the heat, but while that compromise is usually fine in the summer, it begins to fall short in winter. 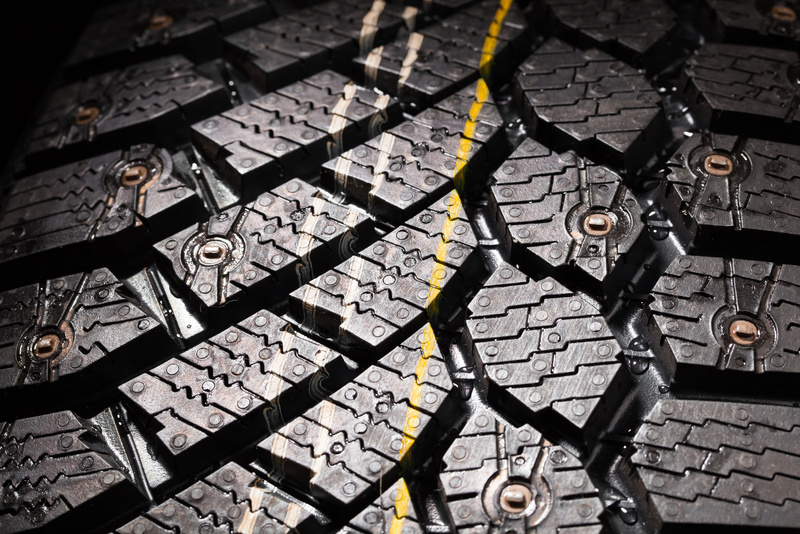 Tread design also helps winter tires find traction in the snow. More space between the tread blocks allows for slush to pass through and for snow to get packed in. Having snow packed into your tires seems like it would make for less traction, but the opposite is true. Snow tires also have extra siping—cuts or slits in the tread blocks. Each of these extra edges grips the road, and together they add up to better overall traction. Finally, the tread pattern on snow tires is arranged radially, meaning the tread blocks go across the tire, as opposed to circumferentially arranged treads, which go in a straight line around the tire. Circumferential tread designs create a quiet and smooth ride, but radial tread designs offer better traction. Studless snow tires are the most common type of winter tire. These have the soft rubber compound, deep treads, and extra siping. They can handle almost all winter conditions and will make driving in snow feel like driving in rain with non-snow tires. However, if you live somewhere with extreme winter conditions and have to drive on steep or winding ice-covered roads for large chunks of time, you might want to consider studded snow tires. As you probably guessed, these tires come with metal studs that bite into ice and hold traction on even the most slippery surfaces. There are some things to consider before buying studded tires. First, they are prohibited in 11 states: Alabama, Florida, Hawaii, Illinois, Louisiana, Maryland, Michigan, Minnesota, Mississippi, Texas, and Wisconsin. Most states allow studded tires, but only during certain times of the year. Six states allow studded tires without restriction: Vermont, New Hampshire, Colorado, Wyoming, New Mexico, and Kentucky. Studded tires, as you might expect, are very noisy. And when roads are just wet and not covered with ice or snow, studded tires have been shown to have reduced stopping capabilities. There’s also an in-between option: studdable tires. These are designed to work in snow without studs, but they can also accommodate studs if conditions warrant. Another option are performance winter tires. These are made to handle both high-speed driving on clear highways and slow driving on snowy backroads. A regular studless or studded winter tire will be safer on snowy roads, so performance winter tires are best for places with cold temperatures but less snow. Unless you live somewhere with 12 months of winter, you’ll need to change your tires when the warm weather arrives. 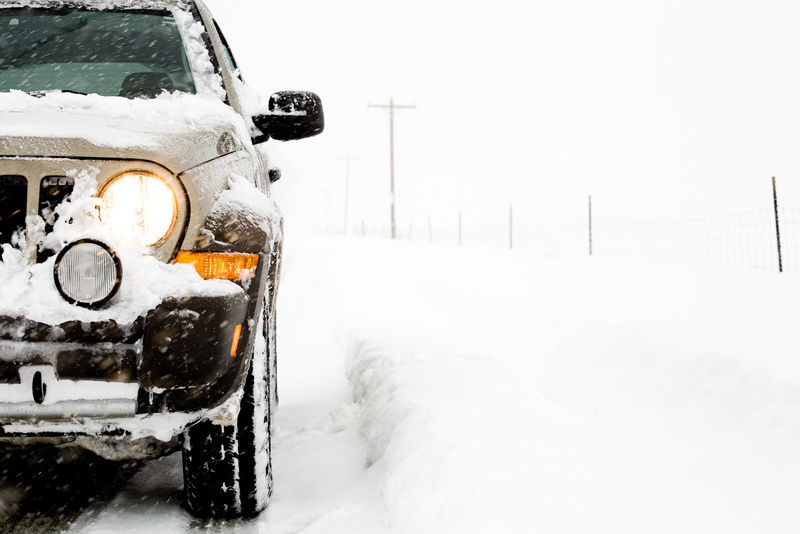 The first step in storing your snow tires is to clean them off—road salt and grime will corrode the tires while they sit. Light and heat will also prematurely age your tires, so it’s important to keep them out of direct sunlight and in a cool, dry place. Wrapping them in a black trash bag and keeping them in a basement usually does the trick.